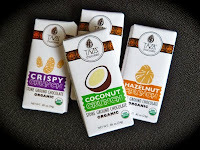 Welcome to Day #3 of Chocolate and Coconut Theme Weeks. 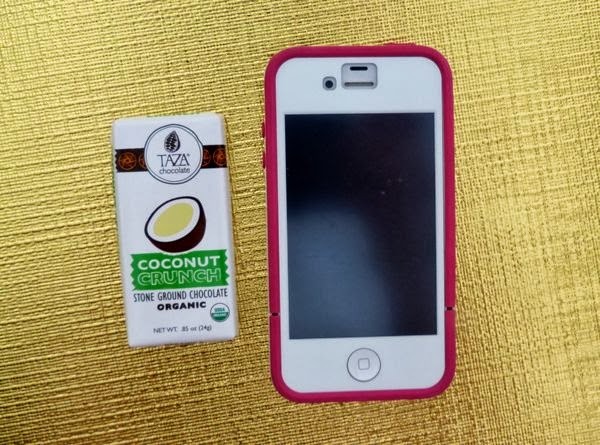 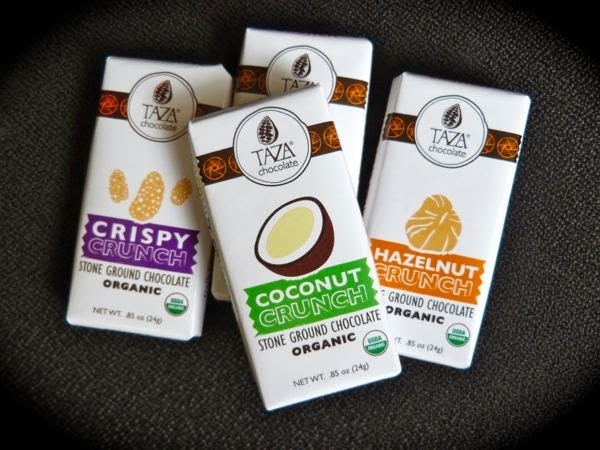 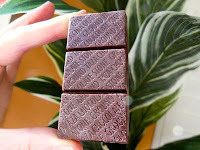 Today's certified organic*, dark chocolate (65% cacao), Coconut Crunch Tazito mini bar (one of five different flavors in this small bar line) from Taza Chocolate (Somerville, MA) was packed with stoneground chocolate and coconut flavor, and crunchy texture. For those who prefer a very smooth, creamy ("European style") chocolate, stoneground and rustic chocolate can take a bit of getting used to. 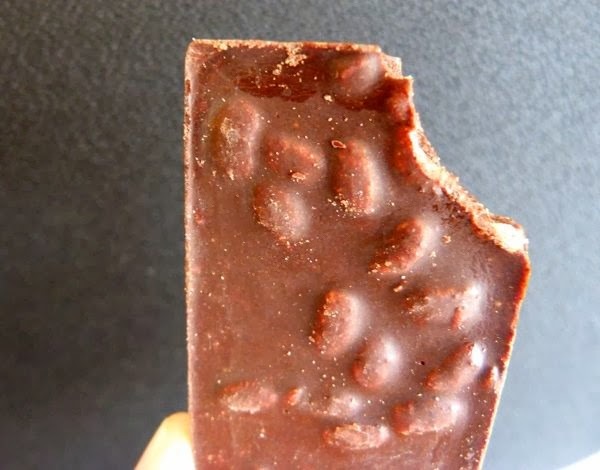 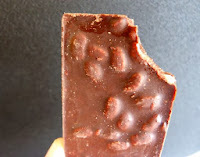 However, mixing this robust bean-to-bar chocolate with the crunchy texture of brown rice crisps (made from brown rice flour, sugar, molasses, sea salt) resulted in a good, complementary combination.